Beautiful Ends Leave In Conditioner || Beauty Review | RAWR BOWS. Hello people! EXAMS ORE OVER! woohoo! That means that I finally have some free time to relax and to blog of course. A few months ago I decided it was time to try and make my hair look decent, which means a trip to Boots was needed. Amongst other products that were supposed to help your hair look extraordinary I bought this leave-in conditioner. I had never used one before so I didn't quite know what to expect. Let me tell you something, this is amazing. It does everything you would want it to do and more. I normally use it after I shower when my hair is slightly damp. I have naturally wavy hair and when I use that it makes my hair more curly and beachy. On top of that it leaves my hair very soft and shiny and that is saying something taking into account my hair is literally straw. This product claims to help with split ends but I haven't really noticed any difference when it comes to that. However, that could be because I just have way too many so if it gets a bit better I can't really tell! If you've read my past reviews on other products you will know that I aaaalways comment whether the product smells nice or not and this one smells amazing! It's a very sweet and fruity scent, it doesn't really smell like raspberries though. Overall, it is a very good product and helps make my hair softer and it feels much healthier! Which is your favourite haircare product? 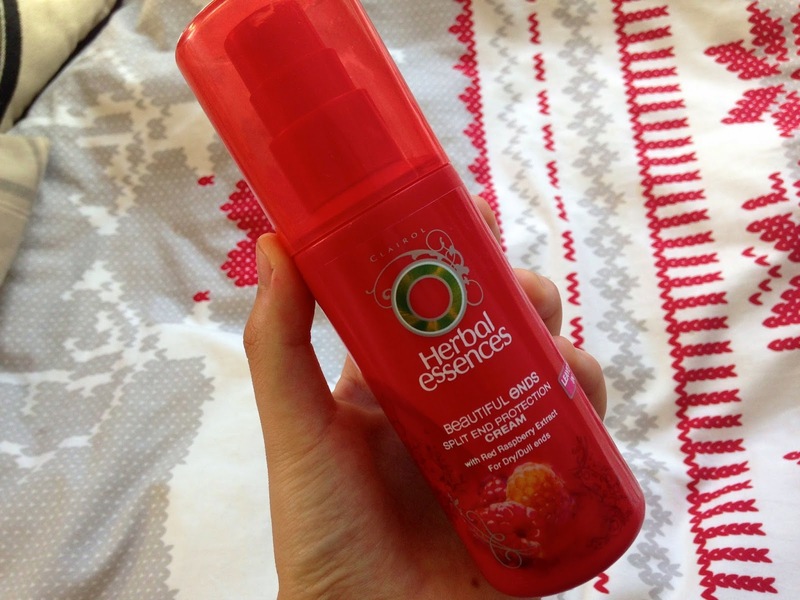 I addore Herbal Essence products!